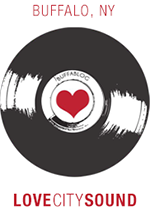 In the interest of fairness I’ve got to preface this review by firmly making the point that I’m not shading anybody else or their art while talking about the bold as brass new EP Political Theater from the beautiful fellas of Feverbox. There’s a number of ways to process these… interesting times personally and through one’s art, and there’s more than a few local acts speaking to the tumult politically and existentially raging in these United States, and representing for what they believe in, and it’s valued and appreciated. But what Feverbox (Griffin Smith, Nico Kelly, Josh Little, Drew Lazelle) is doing on Political Theater is something else altogether because it’s one of the most urgently direct and plaintively honest responses to the Trump era yet. 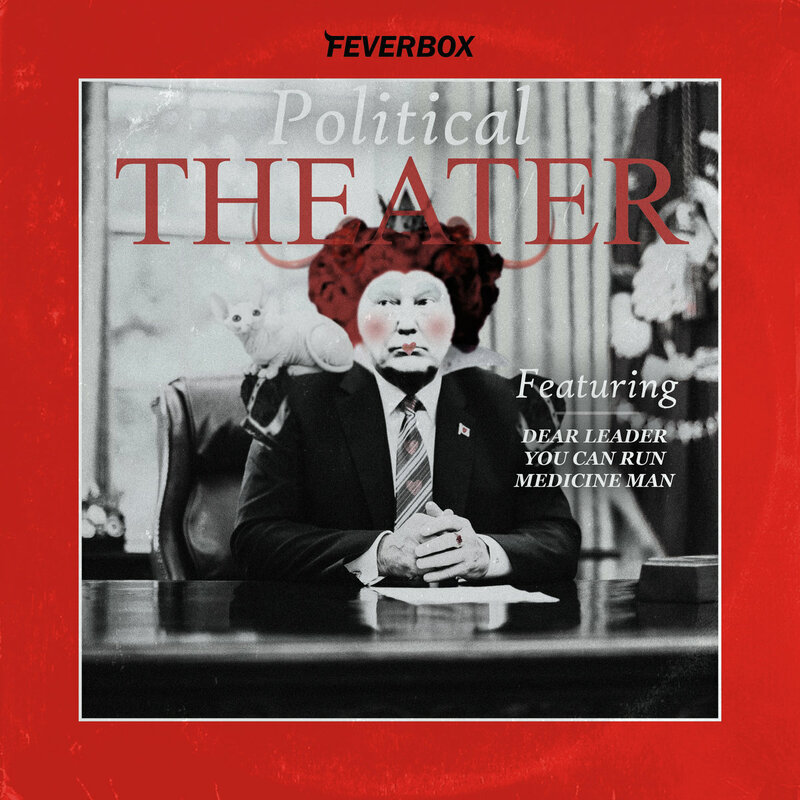 There’s just very little left to interpret when Feverbox kicks off an ep titled Political Theater (featuring our beloved President in photoshopped Queen of Hearts drag) with a jam called “Dear Leader” that explicitly calls out said leader for his authoritarian leanings and penchant for reality show conflict while shredding hard on some hook heavy rock. The existential anguish of “You Can Run” is as real as the crunched, insurgent guitar riffs it arrives on, as the beautiful youth epitomized by the band attempts to come to grips with the inescapable fact that not only is it hitting the fan on their watch but hard choices are going to have to be made… whether you like it or not, and I feel that so much it hurts even though I can’t honestly say I’m young anymore. “Medicine Man” closes Political Theater on a searchingly emotional note as once again the beautiful, glorious youth attempt to process and cope with the specific emotional stress constantly being generated by the pressures of being under pressure with some 70’s tinged California folk rock. Are they successful with their efforts at self care amidst exploding income inequality and creeping Right Wing shenanigans abroad and at home? Feverbox doesn’t say, but then again considering this is one of the burning questions of our time, can any of us really? Political Theater shows that Feverbox is a band willing to ask tough questions of themselves and their listeners and challenge our changing status quo, and right now that counts for a lot.